"He may have plenty of weight on here with 11-10 and a mark of 144, but he's been in much deeper affairs than this. 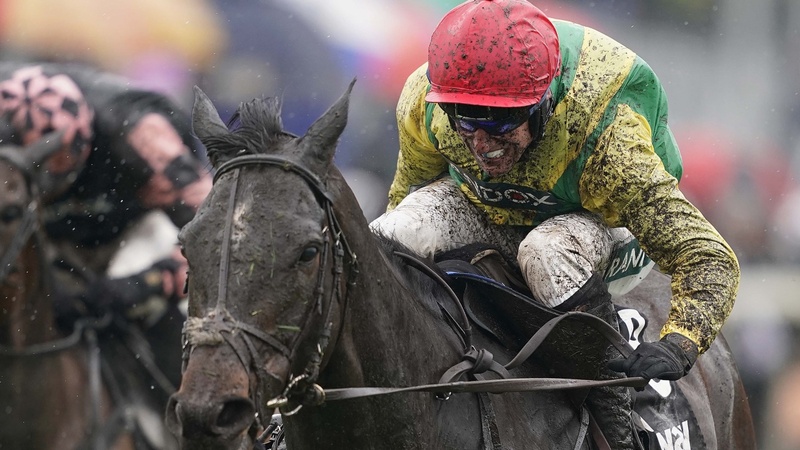 He ran at Christmas in the 0-150 Paddy Power Chase and holds some smart novice form." The opening Foxrock Cup Hurdle has been won by some decent horses in recent seasons, with the likes of Jezki and Felix Yonger successful. It tends to throw up a small field with just five runners last year, we are one less this time around to kick-off what in truth, is a fairly low-key day's racing. Add to that the conundrum of the going. During the week Leopardstown was good to firm. Throw in watering and the prediction of heavy rainfall for Sunday, it makes life pretty tricky, but we'll crack on. The first race favourite Tombstone is a 21lb superior horse than his main rival Oscar's Den, so it isn't much of a betting race. If you like [1.50] shots in small fields, then he could be your bet. 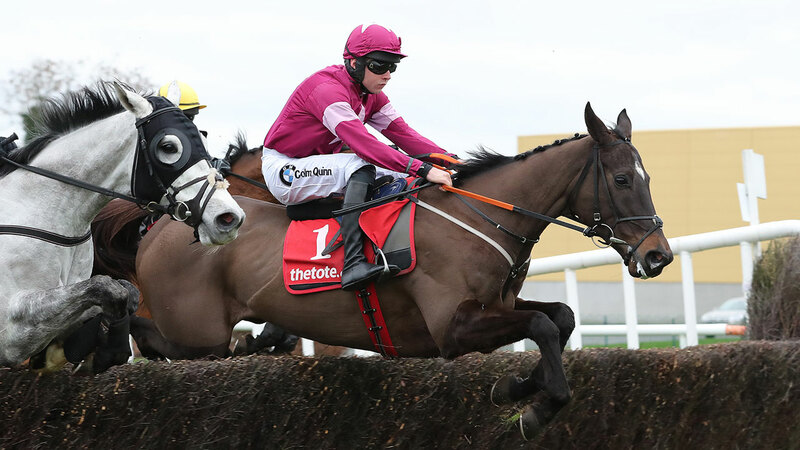 He ran a shocker in the Irish Champion Hurdle last time, but keep an eye on potential targets as Gigginstown appear to be heading down the handicap route for the Cheltenham Festival with entries in the Coral Cup and County Hurdle. I ought to mention Oscar's Den as he won last time and travelled well to score at Navan. There could be a cheeky back-to-lay possibility. He was also cut from 6/1 to 5/1 on the Sportsbook last night. The 15:10 Handicap Hurdle lacks a bit of depth so all eyes will be on Henry De Bromhead's The King Of Brega - a horse who has been in rattling good form despite his advancing years. The 12yo is looking to win for the fourth time in five starts and he is now up to 136. He travelled well last time under today's jockey Daniel Holden, and that was a win at Thurles over 2m. He steps back up to 2m4f, which isn't a problem as his winning form ranges from the minimum to 3m. The King Of Brega does act on good ground so there would be an element of doubt with him if the rain arrives and it turns soft. The same can be said for the smooth-travelling Kuiper Belt. 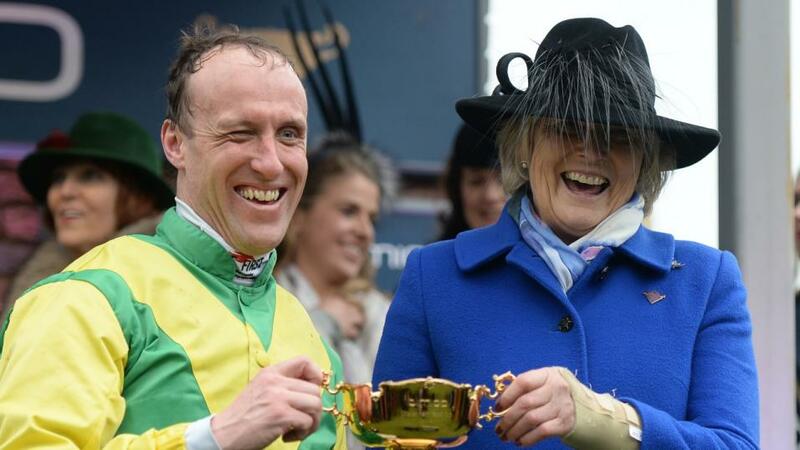 He won a few races on the Flat for Gordon Elliott last summer and he has shown remarkable improvement for the trainer. I was tempted to throw him up as a bet at around [11.0], but for me, he wants it quick. The forecast has put me off a wager with him. For those that are dreaming of seeing Presenting Percy run, you'll get to see his racing silks at least on Curley Bill on Sunday - he goes in the green and white, although he has had his fair share of problems with mammoth lay-offs of 692 days and 928 days in the past. He has gone well fresh before and has won after nearly two years off, so the small matter of 212 days shouldn't be too much of a negative. He was last seen running in a Premier Handicap on the Flat over 1m4f - so he is just a bit too difficult to assess in terms of a bet, but he'll enjoy conditions if they do turn soft. Gavin Cromwell's Ming Dynasty has had his fair share of problems too in the past, but wind surgery has helped him recently and he won to take advantage of a low mark at Naas last time. He was a former Group 2 winner on the Flat and would still be very well treated from his new mark of 118 considering he was rated near the 100s on the level. He's a horse who could kick on now those issues appear to be behind him, as he hasn't always been totally straightforward in terms of finding in a finish. Soft conditions shouldn't be a problem if the forecast proves correct and he represents the most solid bet following a career best performance. The trip here could pose a problem or two for the Gordon Elliott-trained pair Monatomic and Dakota Moirette. I flagged up the former in last week's preview as a potential trade - and he was matched at a tick over [2.0] from a double-figure price of [22.0]. It was a pretty decent effort from him and his jumping held up - but he goes up in trip again for Sunday and he (Monatomic) really is an ideal sort of chaser to back-to-lay. The distance could also present a problem for Dakota Moirette - who is well-handicapped on his old hurdling form but he still hasn't won a race over fences in seven attempts. He finished runner-up in a similar standard of race at Leopardstown from 125 and that was a personal best. However, that was over 2m1f on good ground, and it didn't scream to me that he wants Sunday's sort of distance of 2m6f. The stayer in the field is Teacher's Pet - who has competed this season in the Amateur National. Stamina really shouldn't be a problem for her as she reverts to a more suitable distance. She motored him at Thurles when well-backed earlier in the season, and that was over a similar sort of trip to what she'll face here. She didn't really have the speed to win a small field race at Listed level when last seen over 2m. We could see a bit more from her and she has form on both good and heavy. That is one less worry. I'll keep her onside for a Win and Place bet, but my main play has got to be Jett. He may have plenty of weight on here with 11-10 and a mark of 144, but he's been in much deeper affairs than this. 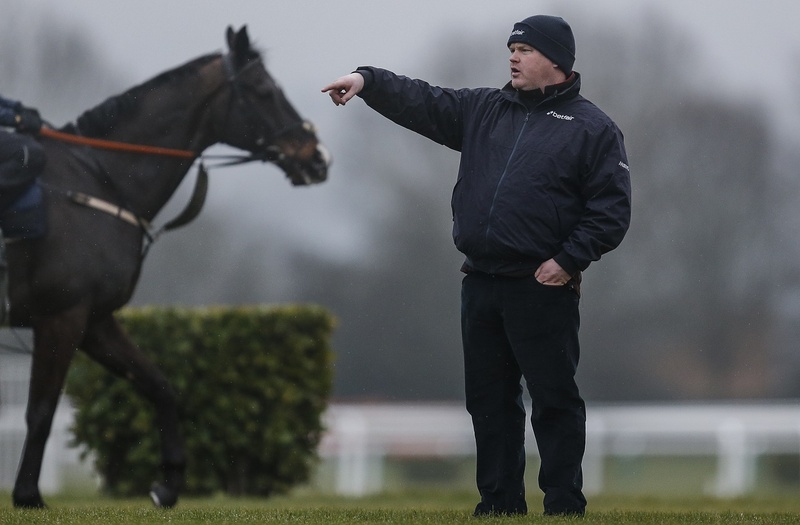 He ran at Christmas in the 0-150 Paddy Power Chase and holds some smart novice form. His jumping is a bit scratchy, and was more miss when last seen in a small field at Thurles. The trip of 2m2f wouldn't have been ideal there, and a bigger field over near-2m6f should suit - and hopefully help that technique. At times when he gets it right - his jumping can look good and with the cheekpieces returning for Sunday, he can put up a fair show at decent odds under Robbie Power (pictured below). I'm a big fan of the 80s - especially the music. Maybe not 80-rated chasers, and we have four lining up for this which gives a strong hint as to the quality. Two of those basement level horses are 12 and 13 years of age - so we cannot expect too much improvement. In terms of a bet, the options are threadbare. The Church Gate has won his last two over hurdles and goes back chasing for the first time since 2018. He's tough, stays and acts on good and soft ground. He beat Lake Takapuna last time by five lengths, and that would make him ultra-hard to beat in this. He deserves to be the price he is at around [1.85] in a shocker of a race. My only angle would be to throw up a big price in-play as a back for School Lane. He's slow, very slow, but he does gallop. He was in a 0-123 at Down Royal over 3m and finished second there, but he ran poorly at Fairyhouse when last seen. It's hard to get excited about anything else.